Imagine… you are preparing for a huge dinner and suddenly, your garbage disposal decides to quit! Plumbing Anytime is here to help. We can provide garbage disposal installation and repair services in the Jackson Hole area. We will service your garbage disposal in an emergency and get you back to tearing up that waste as soon as possible. We can also install InSinkErator garbage disposals. These quiet, most advanced disposals offer effective waste removal technology that incinerates tough waste products such as bones, melon rinds, and even corn husks. Their reliable motors get the job done for years to come and they offer two price points, making them perfect for any household. 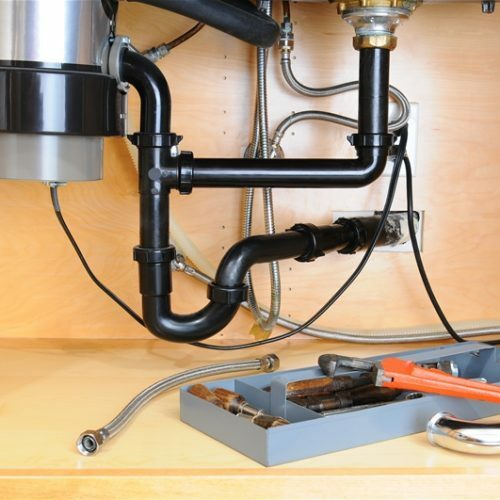 Plumbing Anytime has you covered for your garbage disposal installation needs in Jackson Hole! Call us today to have us repair your old garbage disposal, or install a new, more efficient InSinkErator today! Plumbing Anytime believes in prompt, quality plumbing that meets the needs of our clients. Schedule a plumber at your convenience!